Bars called the "Pastime" have a special place in my heart. 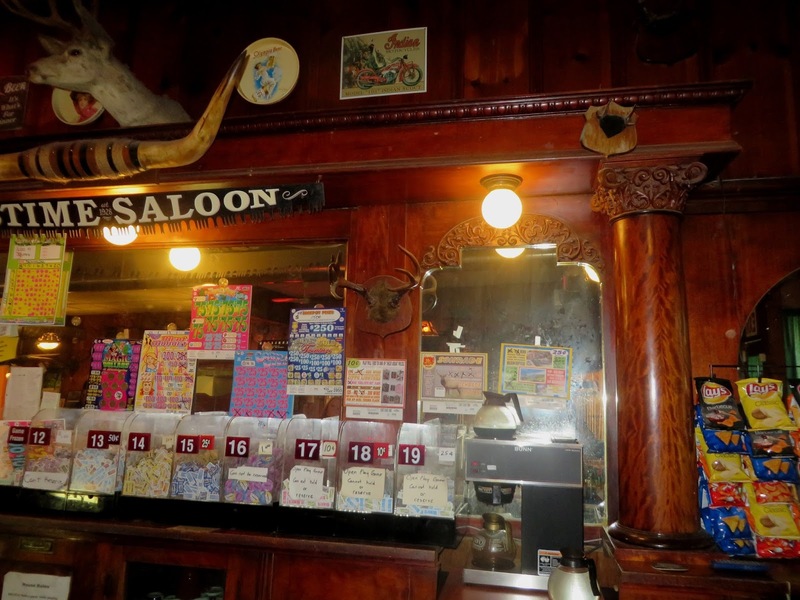 It's the most common name for bars in the history of the northwest (at least count I'd identified 59 Pastimes in Washington state alone), but they are not so common now. 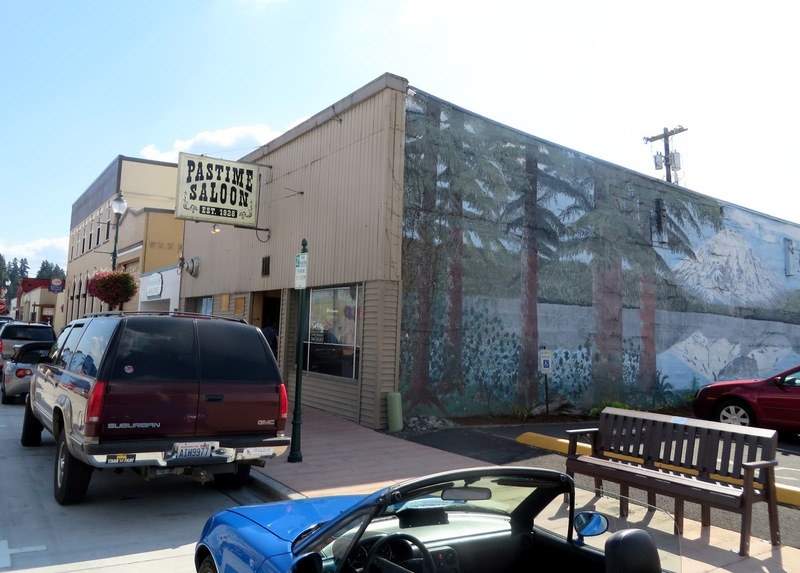 Many that remain have a good chunk of history behind them, and that seems to be the case with the Pastime(s) in Castle Rock, Washington, though the history is a little confusing. The Pastime sign states that it was established in 1928, and I have no reason to doubt that. 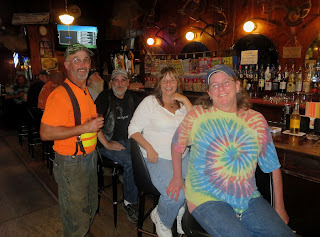 But that it was clearly not a licensed bar at the time, and it was listed a very different addresses in past decades. My primary sources are quite spotty, but from the 40s through the 80s The Pastime bar address alternates between 511 and 515 "Front" (it is now at 127 Front Ave NW). However, I suspect that this was due to street re-numbering rather than a physical move. 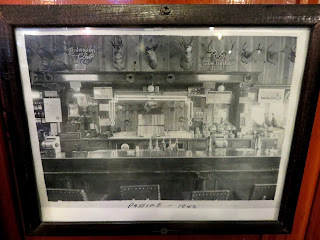 For one thing, the photos in the bar itself from the 40s appear to have the same back bar, the same knotty pine, and potentially the same exterior front, although later modified. Also, the Oasis down the street claims to have been there since 1933, and it too changes from a high number to a low one, as "Front" addresses appear to have been re-numbered when the street was split into "NW" and "SW" directional names. 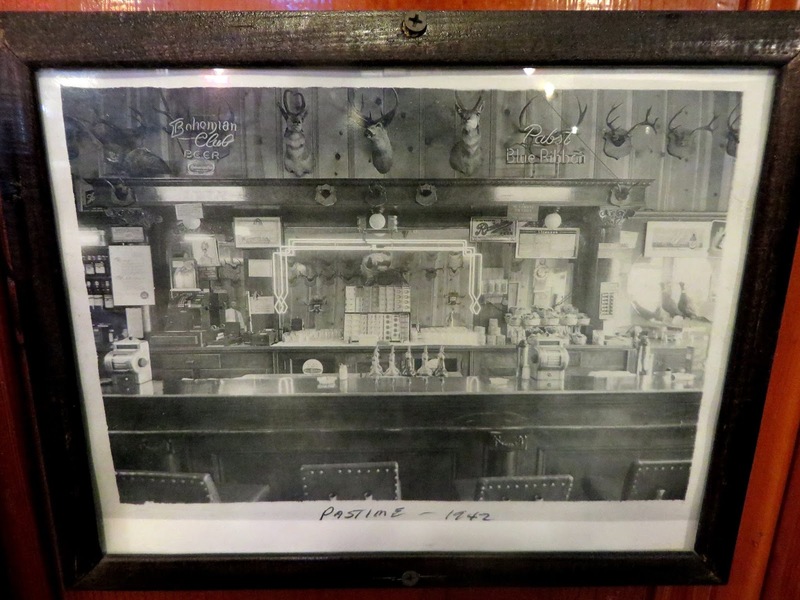 Someone informed me that the Pastime may have become a bar in 1942 (and indeed, there's a photo of it as plainly a bar with that date written on it), but I think it may have been significantly earlier. I've found a Pastime listed without an address under beer parlors in Castle Rock in 1940 (and at the 511 address in 1946). 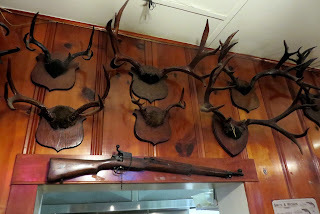 In any case, the bar today has a great historical feel and is filled with boisterous and friendly regulars. "Are you a tourist?" one asks me, perhaps rhetorically, and we soon launch into a discussion of old bars in the area. The tips I get -- the Ariel Tavern "Oh that's a good one" and the La Center Tavern "Not so good" -- are spot on with my own assessments. The old (Brunswick?) back bar from the photos is still there, along with a nice curving one in front. There are taxidermy and antler mounts everywhere (which leads to various references like the "horny room" and the "horniest bar in Castle Rock"). There are poker games, and pulltabs, old school diner food and old school dive bar cocktails. Mostly everyone there seemed to be having a good time -- and that wasn't disrupted even by a tourist. March 2019: Oh my! This is the most beautiful bar I've been to in our state (out of hundreds). The long magnificent century-old back bar. 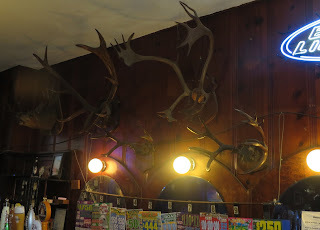 The deep-stained cedar walls with the 40-some antlers. The very friendly staff and customers. Heaven could be like this.